Inside Out finds the man behind a property investment scheme that has left savers out of pocket, and Jon Cuthill takes part in the national tree-climbing championship. Browse content similar to Episode 28. Check below for episodes and series from the same categories and more! who will ask money is. hearts and busting bank accounts. many years and has recently retired. for 100 pounds every month. I thought it was a good return. That's the main reason I invested. was getting less money every month. I invested in Forbes Capital. calls or respond to his e-mails. him and his family financially. So who is behind the company? goes wrong you have no comeback. isn't paying out what they promised. Can we have a chat? No. investors' money? Leave the camera. at least an explanation, don't you? bothered to talk to them. Why not? to talk to them. Nothing to say? hard man to talk to. doesn't want to talk to us today. November. We will keep you posted. than ever, but would you believe it? apps is telling the truth. decided to give love another try. he wanted to get out of the Army. money, totalling just over £8,500. to ever get it back. people to part with their money. Dave has also been looking for love. found it a great way to meet people. special someone online in Canada. of the common tricks fraudsters use. use in order to reel the victim in. same story and the same picture. so silly. That's what I felt. they've not to send any more muggy. anything like me, it's been a while. tree climber. Why, you must be John? How are you, all right? got to get those ropes at the treat. need to get this up in the canopy. let go more up here. muscle more than your arms. happens to be what I do for a job. with the vicar in a cherry picker. series of tasks against the clock. I'm not as graceful as you. Keep stepping your feet down. This is the one I pull on? lying to say they didn't sometimes. guys are -- macro a two's husband. realise what I've let myself in for. You are seriously moving up there. got to be unclipped. Here we go. on. Keep going, keep going. Go on. It was all right, wasn't it? could all end in total humiliation. Man alive! Out of my league. Clear. First, getting a line in. take it. But it's a timed event. honest. Time for my speedy descent. a remarkable talent. -- does mean. I'll see you soon, bye-bye. 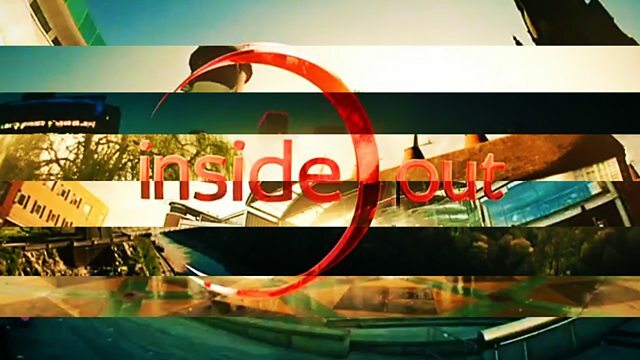 Inside Out tracks down the man behind a property investment scheme that has left savers thousands of pounds out of pocket, and Jon Cuthill takes part in the national tree-climbing championship. What could possibly go wrong?